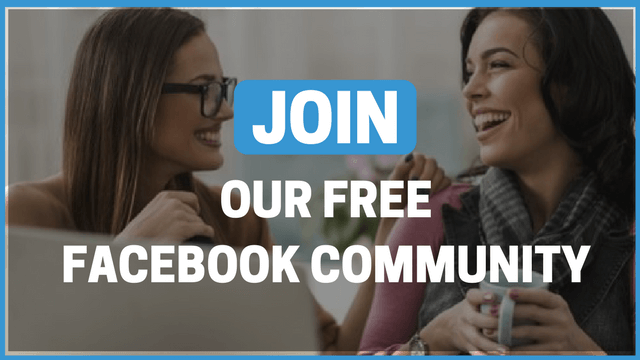 You may have read several articles on how to create the perfect Facebook ads, how to write ad copy etc. But sometimes, all you need is a reference to some truly killer ads on Facebook, so you can emulate them as you need. 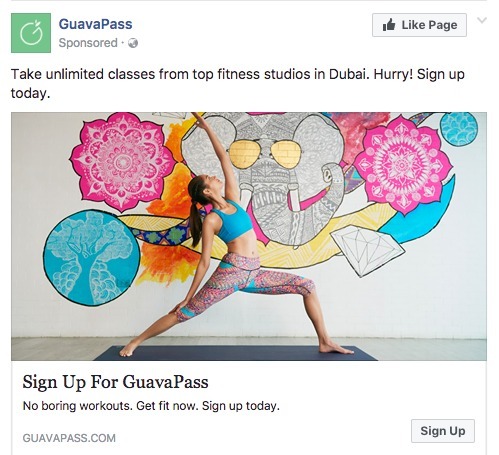 So we’ve deconstructed some of our favorite Facebook ads and all those elements that made the ad work! But first, let’s go through some simple pointers for creating those failproof ads!  When creating FB ads, the most important thing, is to make sure that you have an offer or an ask. People will only engage with your ad if you’ve given them an irresistible offer or told them the exact action they need to take. Keep it simple – Be concise and clear in your message. Use bold, contrasting colors that catch the eye in your visuals. Have a call to action that encourages people to click on the ad. Now, let’s get down to business. Check out some of these brilliant ads and our favorite elements in them. 1. NatureBox – Healthy Snacks. Well, isn’t that image simply alluring! I mean, all that delicious-looking food plus the contrasting colors of the dishes and the food is beautiful! To add to that is the bold red illustration that says FREE TRIAL. The visual itself is enough to get a viewer hooked! The ad’s copy is a fine example for minimal-done-right. The entire ad just has 4 lines of text, but it has all the necessary information packed into it. The first line simply gives the product description, the second gives the customer the exact value and tells him what to do. Then a relatable headline and an additional but important line of info! Every element in this ad works perfectly and in sync! For starters, this ad is simply genius as it automatically taps into that very large Potterhead community. No Potter fan could ever pass over that glaring title with the exact font used in the books. The visual also uses an array of bright colors to draw the eye. With regard to the ads copy, it’s simple and effective, with the amazing offer being the opening line followed by the call to action! All in all, this ad has got the elements right! 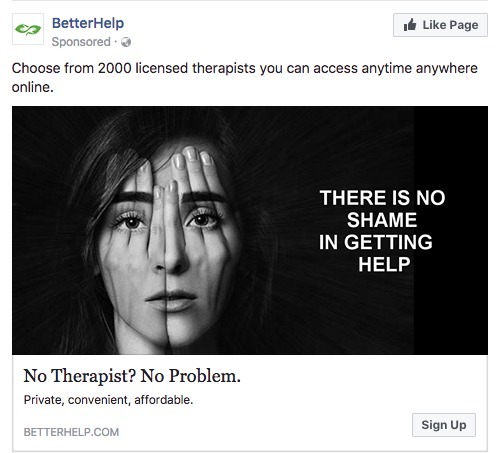 Advertising related to health, especially mental health is always difficult to get right. But Better Help managed to get it right by creating a meaningful visual that signifies the emotions that go along with mental health issues, in an attractive and creative manner. The ad also uses short-form text along with just the use simple keywords. This is a ad done right! This image uses the perfect colors and elements to grab anyone’s attention, guaranteed to make you stop and admire the aesthetics within it. Again, simple and effective copy with a Call-To-Action in the headline and the text! Now all you have to do is make sure that your ads are just as attractive and on-point! 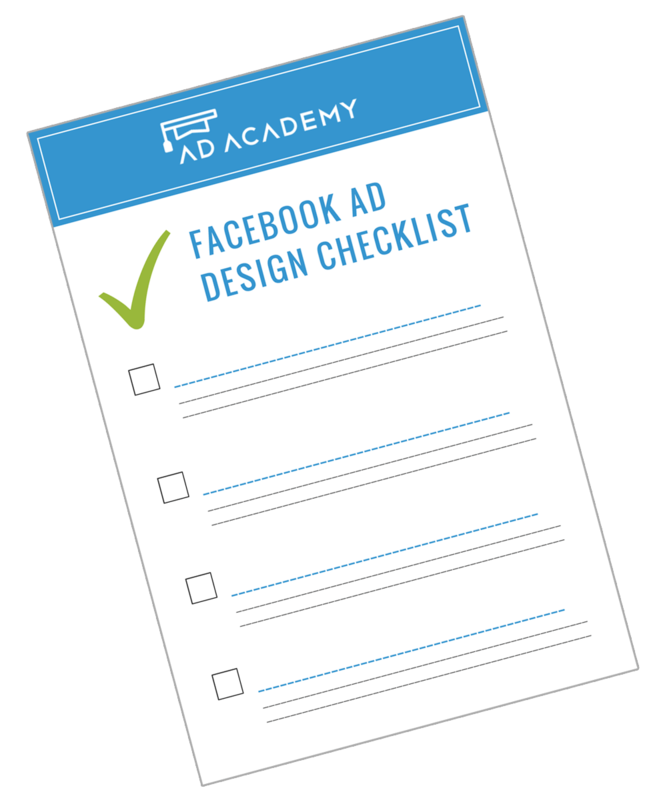 For more tips on making sure you’ve got all your ad elements right, do check out our article Facebook Ad Design checklist, so you can make sure that your ad is absolutely perfect before you publish it. If you have any questions on the topic, or want something answered, send an email through to learn@abovedigital.com and we’ll address it directly via an email response.